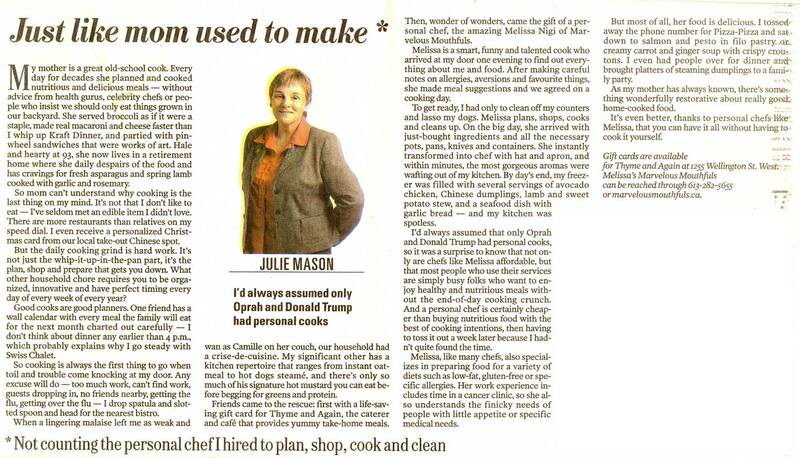 A chef for more than 17 years, Melissa is experienced in meeting the unique nutritional requirements of individuals, families and groups, She has prepared meals ranging from restaurant-style gourmet fare to basic meals and worked with many varieties of specialized diets, including dairy-free, vegan, whole food, vegetarian, wheat-free, low-calorie, low fat, allergen-free, candida, and organic as well as cooking for patients with heart disease, autism, cancer or diabetes. 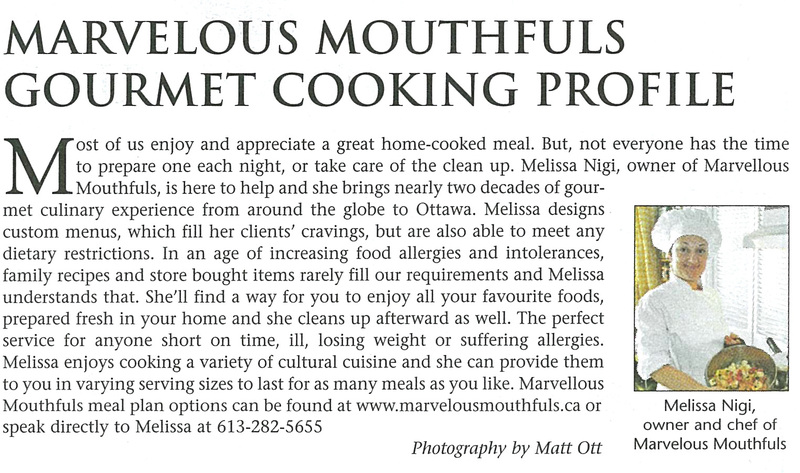 Melissa uses fresh ingredients in her cooking and offers an extensive variety of recipes. 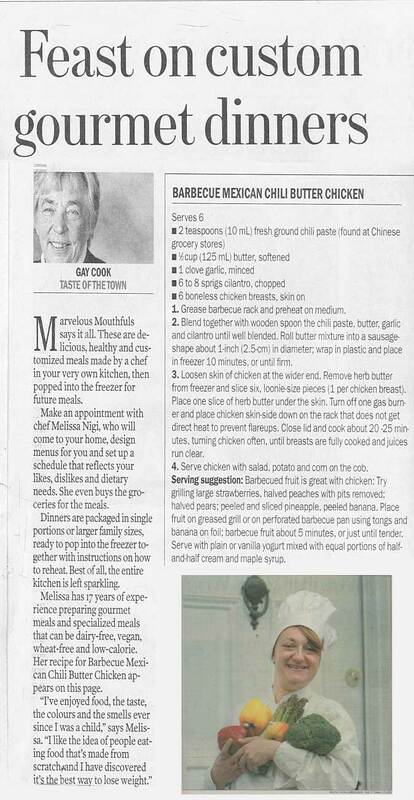 For more information, or references call (613) 282-5655. 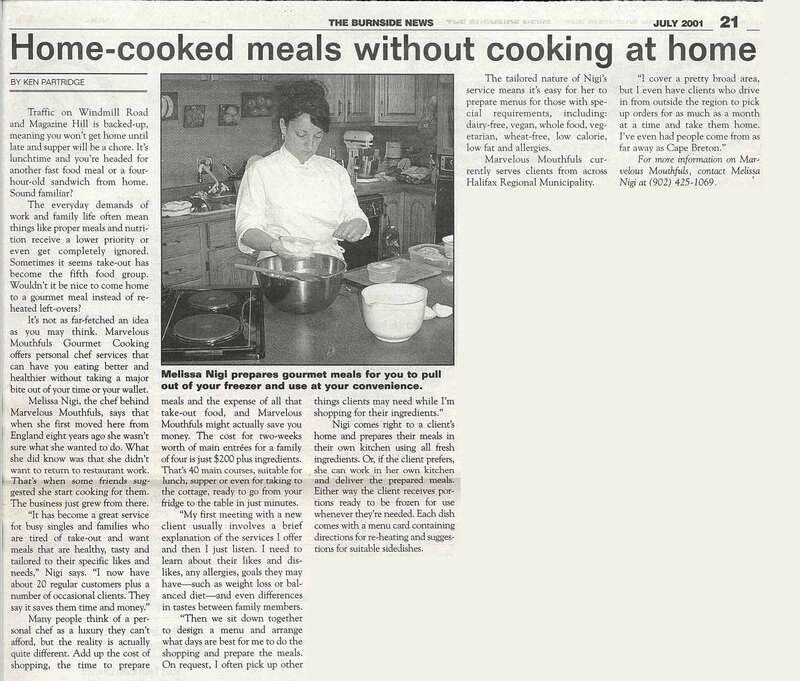 "Marvelous Mouthfuls Gourmet Cooking Profile"
"Most of us enjoy and appreciate a great home-cooked meal..."
"Just like mom used to make"
"My mother is a great old-school cook..."
"Feast on Gourmet Custom Dinners"
"Marvelous Mouthfuls says it all..."
"Home-cooked meals without cooking at home"
get home until late and supper will be a chore..."
Atlantic Progress - Business. Progress. Economics. 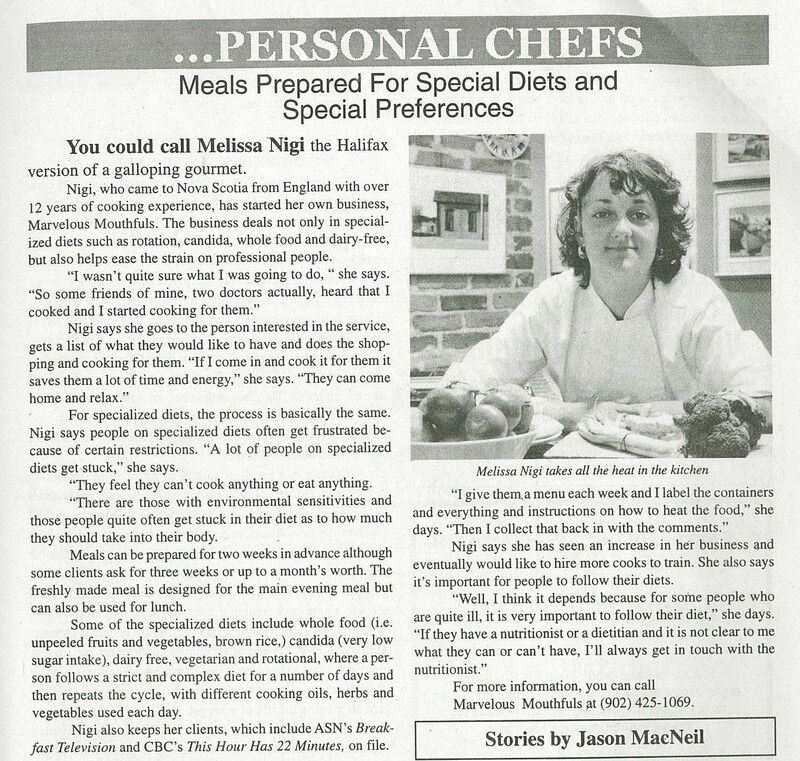 "Melissa Nigi - like most people - loves food..."
"Meals Prepared for Special Diets and Preferences"
"You could call Melissa Nigi the Halifax version of galloping gourmet..."
"Sick of cooking? 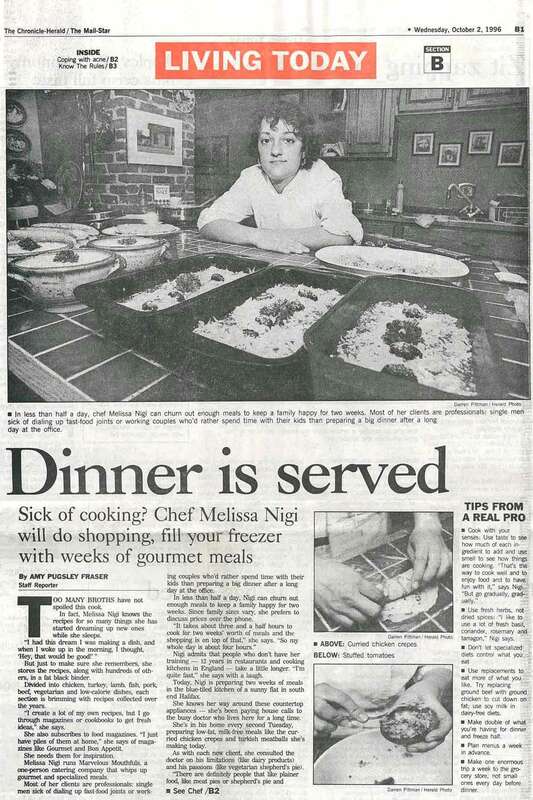 Chef Melissa Nigi will do shopping, fill your freezer with weeks of gourmet meals."